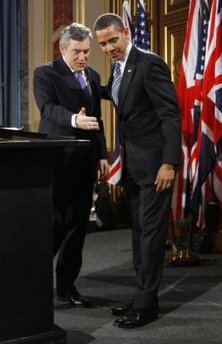 President Obama in London, UK from March 31, 2009 - April 1, 2009 - President Obama meets Queen Elizabeth II, and Key G20 World Leaders - President Obama G20 London 2009 Visit Headlines. 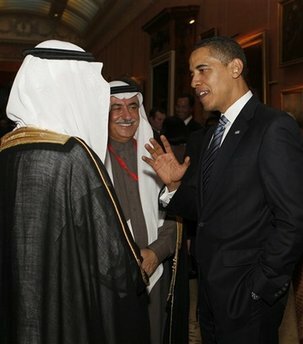 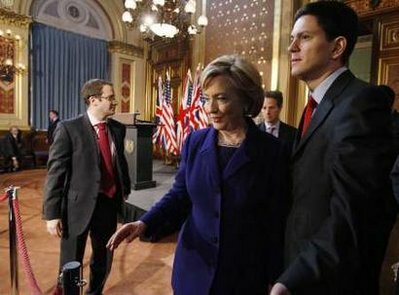 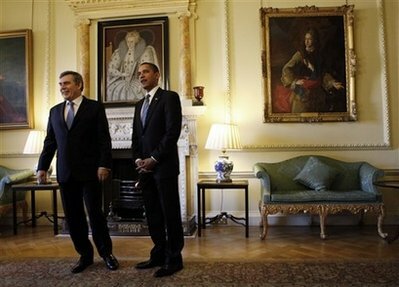 Photos and Images © AP, AFP, Reuters, and others. 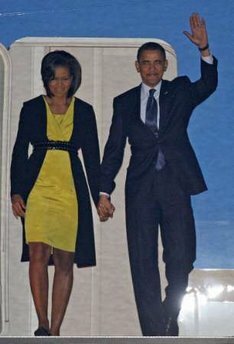 Click on photos for a larger image. 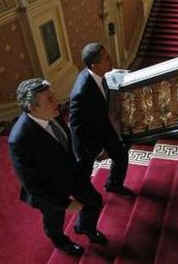 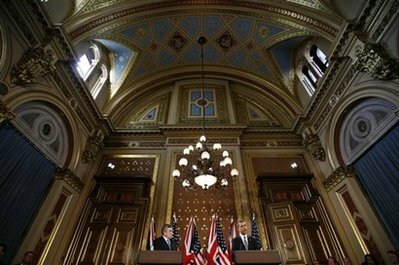 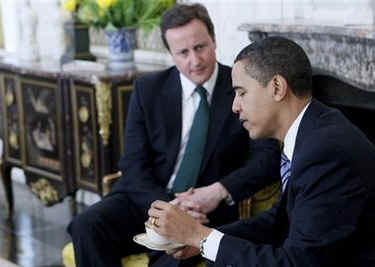 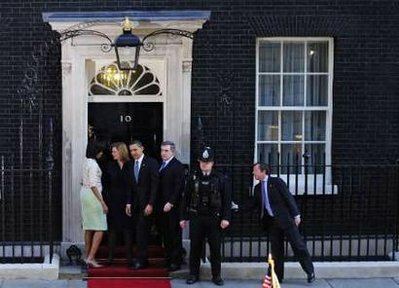 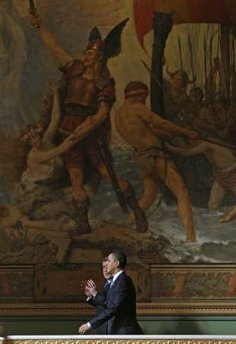 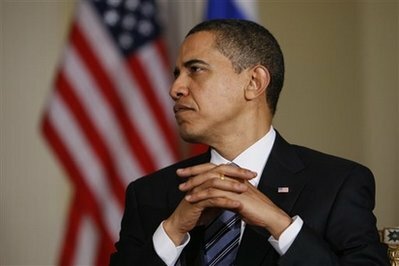 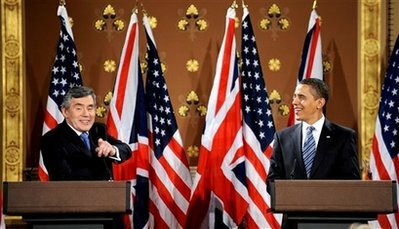 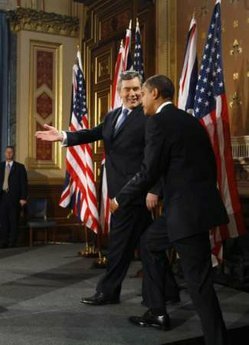 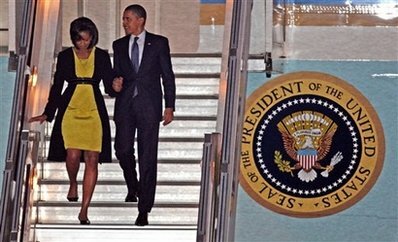 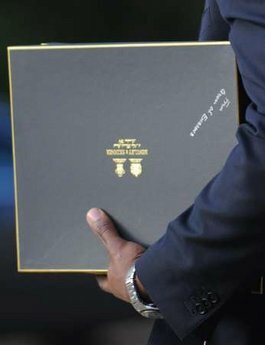 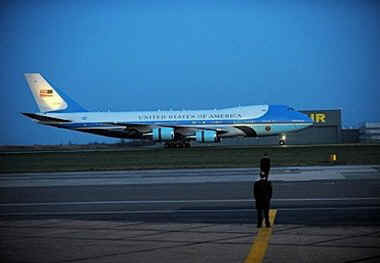 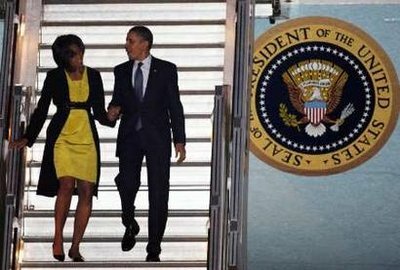 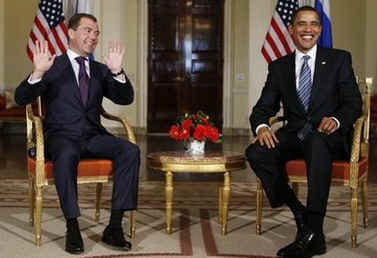 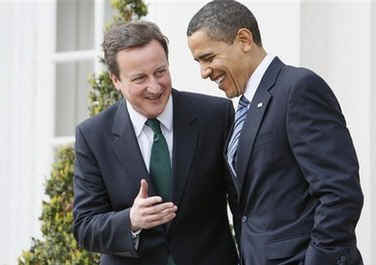 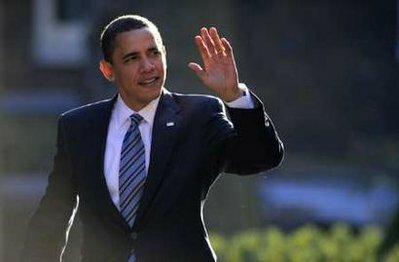 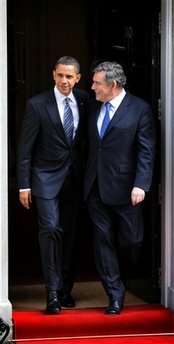 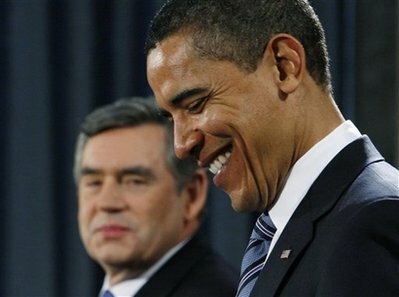 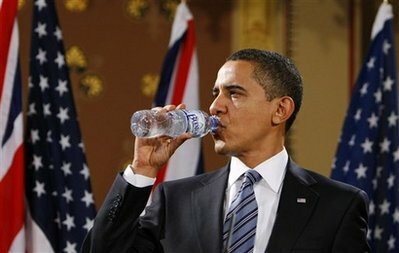 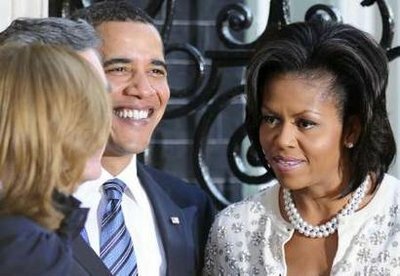 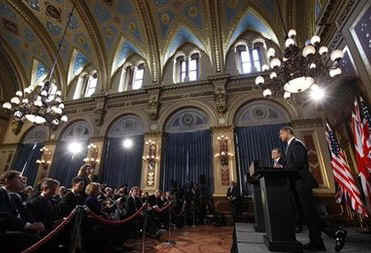 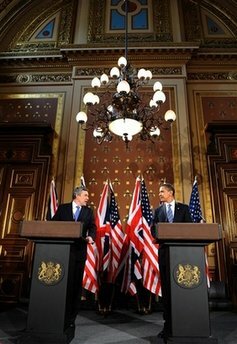 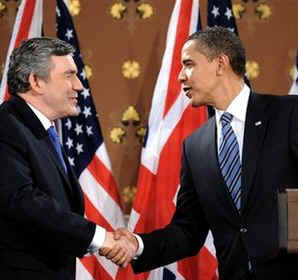 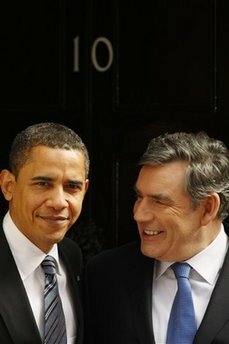 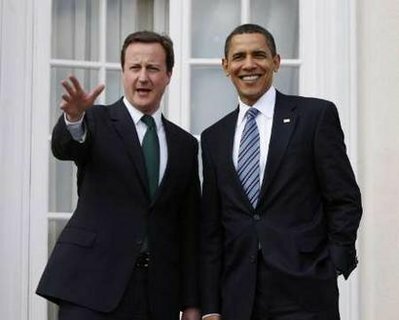 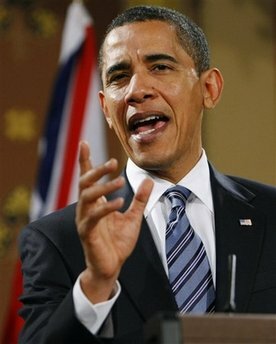 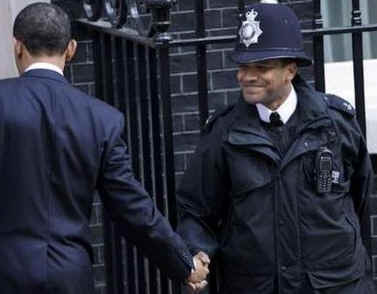 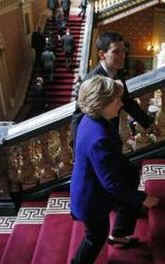 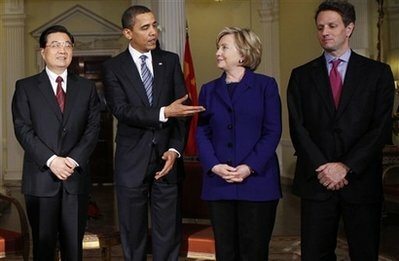 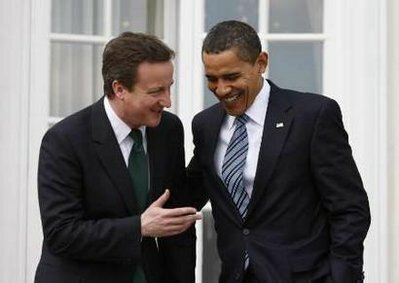 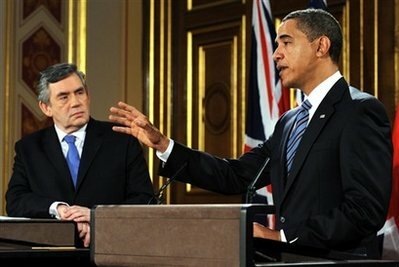 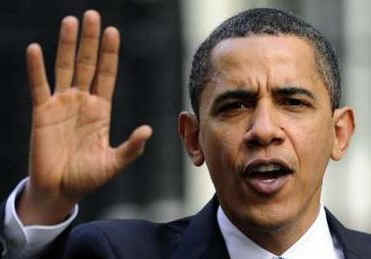 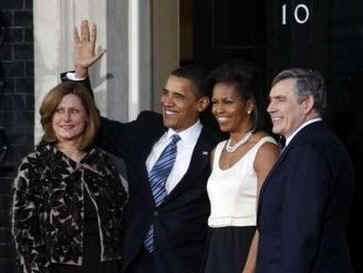 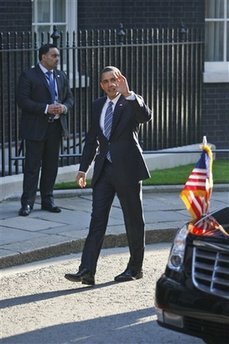 Obama UK - Newspaper headlines, News, Photos, Images, Videos, and Speeches. 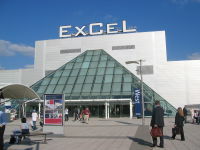 ExCel Center in London, UK. 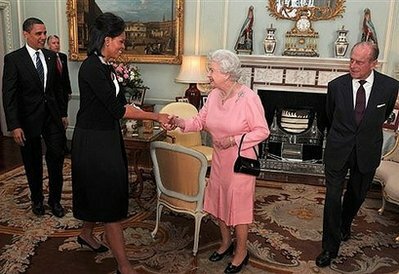 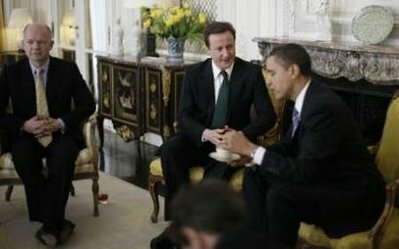 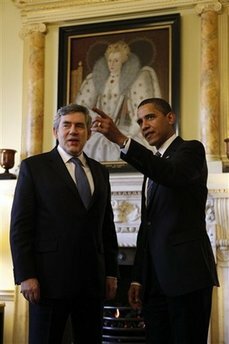 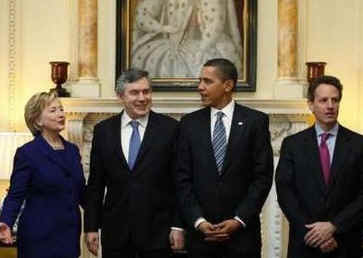 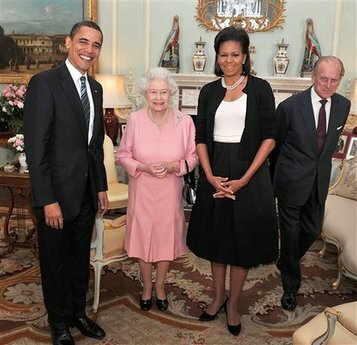 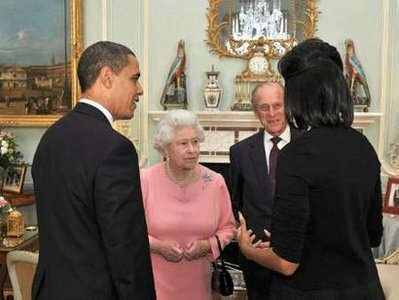 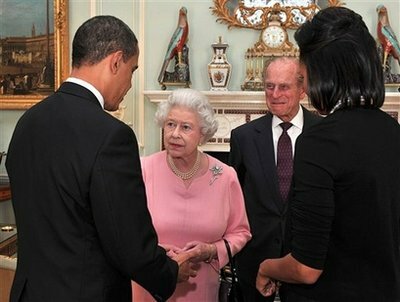 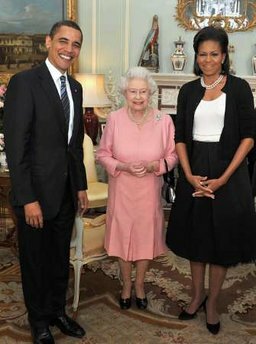 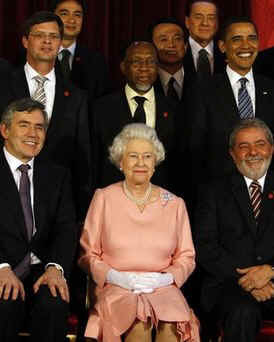 President Obama meets with Queen Elizabeth and world leaders on April 1, 2009 in London. 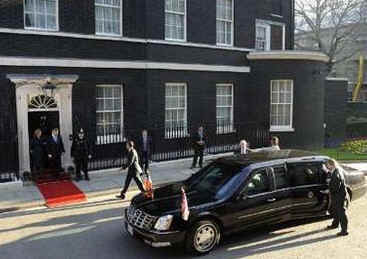 residence of the US Ambassador to the UK. 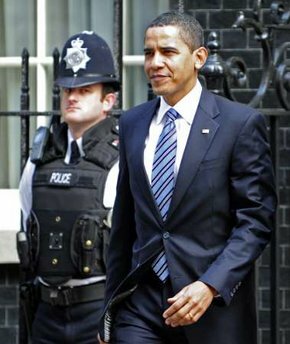 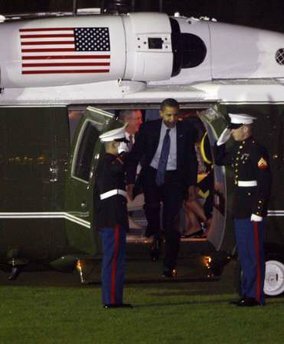 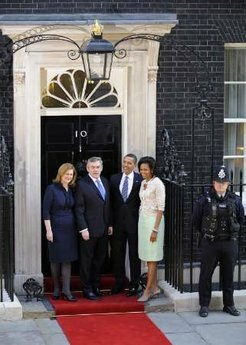 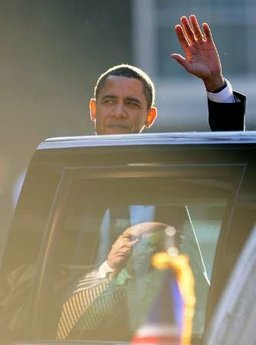 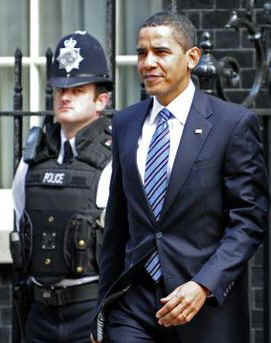 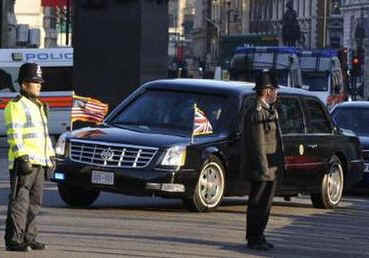 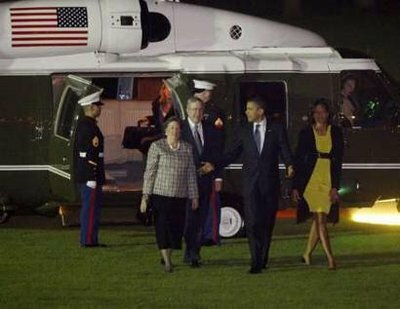 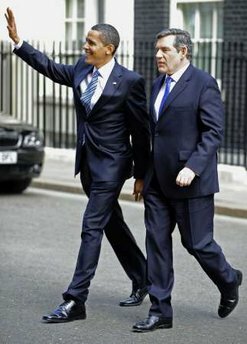 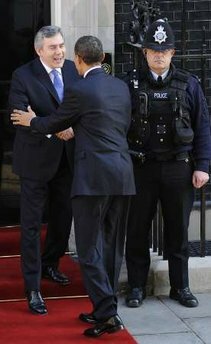 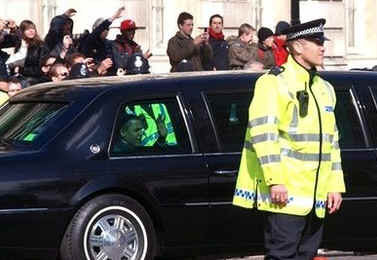 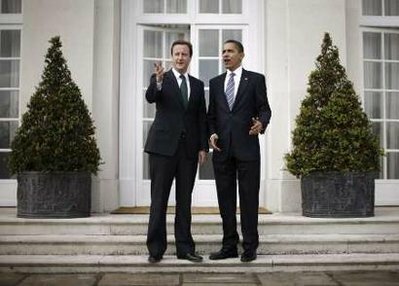 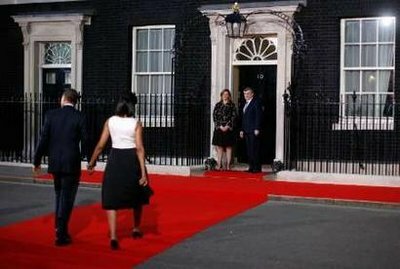 President's special limousine known as "The Beast" drove Obama to 10 Downing Street, the residence of the UK Prime Minister. 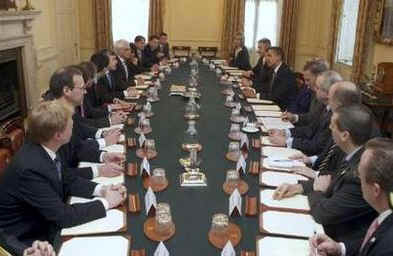 met in the Cabinet Room of the PM's official residence. 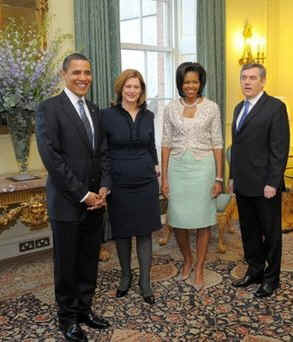 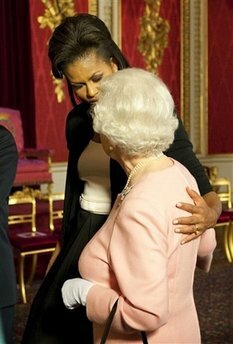 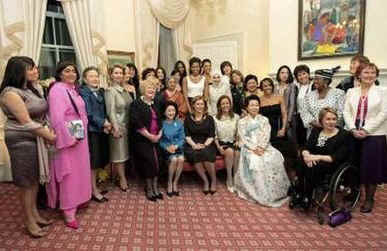 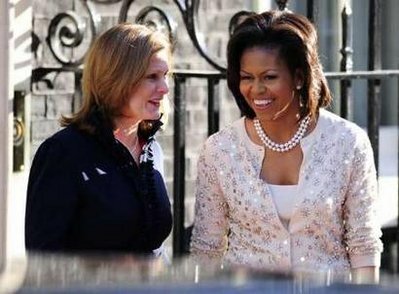 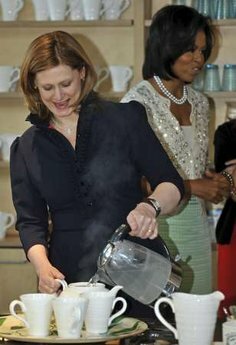 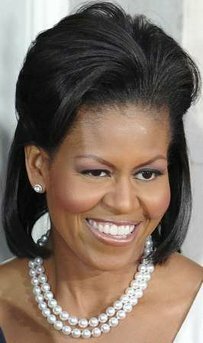 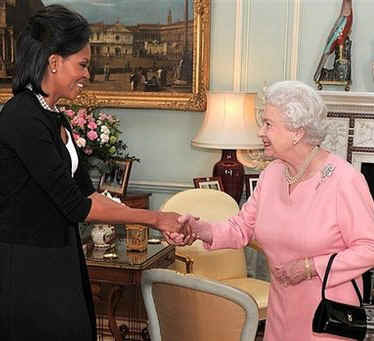 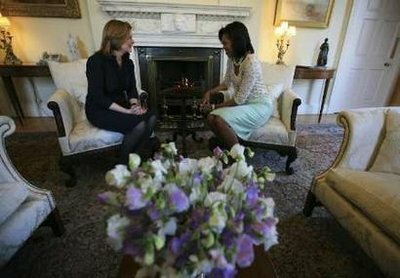 First Lady Michelle Obama met with Sarah Brown in the residence. 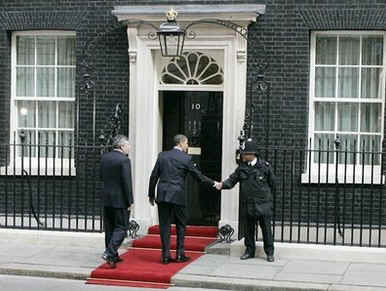 Downing Street to visit a cancer center in West London. 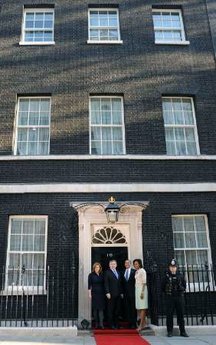 Office in London after a meeting with UK foreign officials at the residence of the Prime Minister. 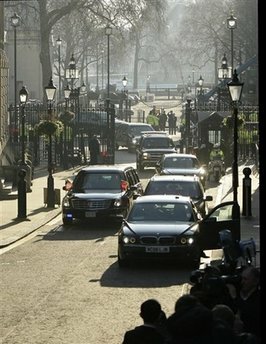 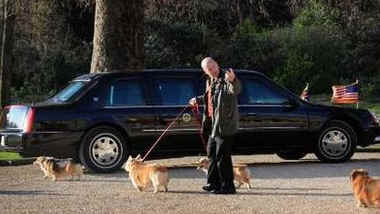 he returns to the Downing Street residence. 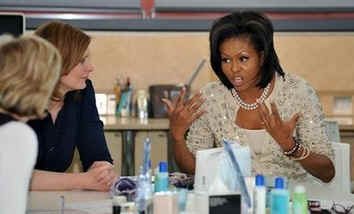 took a tea break and met with care center workers. 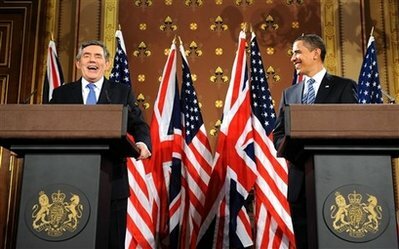 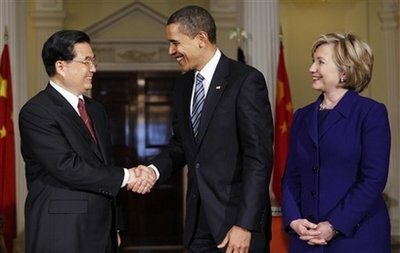 two countries were enemies is long over. 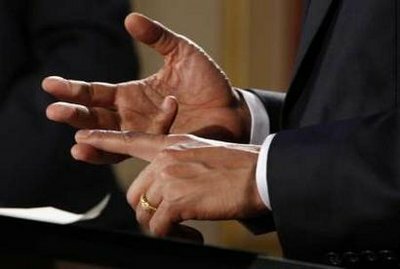 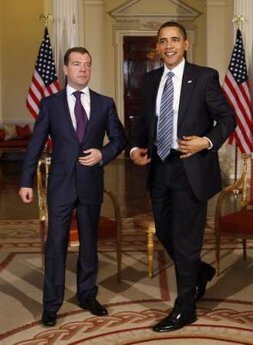 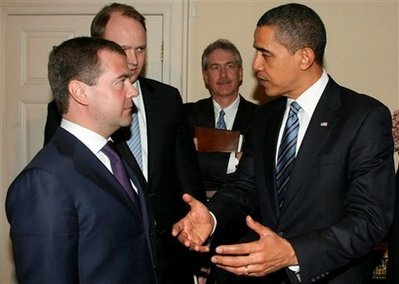 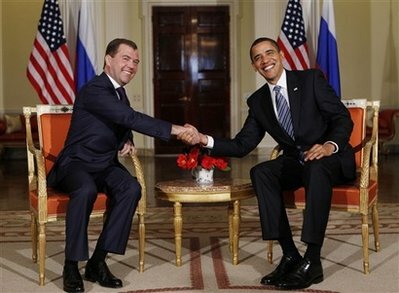 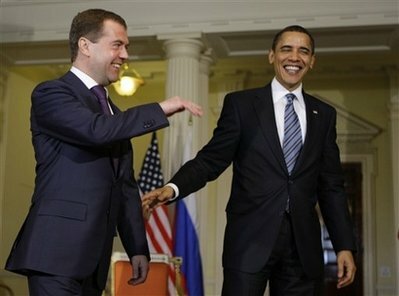 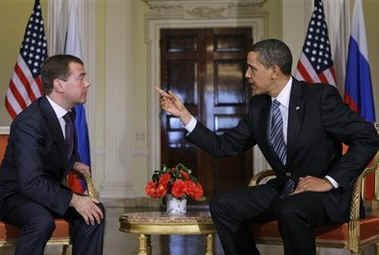 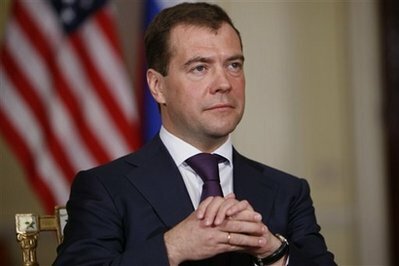 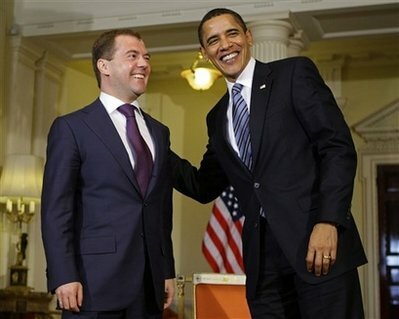 Both the US and Russia are seeking a renewed positive relationship. 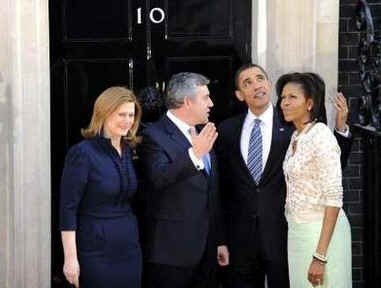 is the Leader of the Opposition in the UK Parliament. 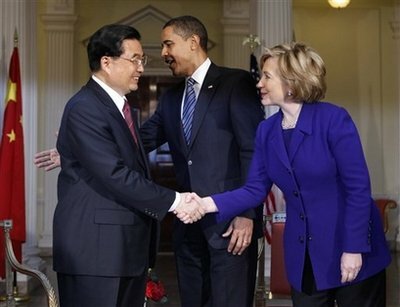 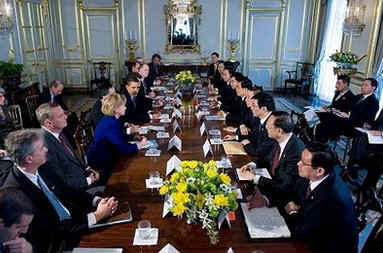 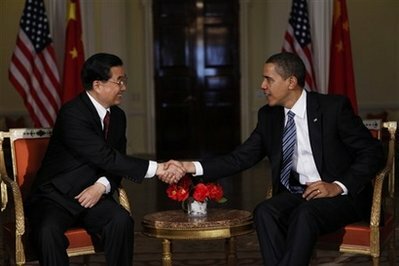 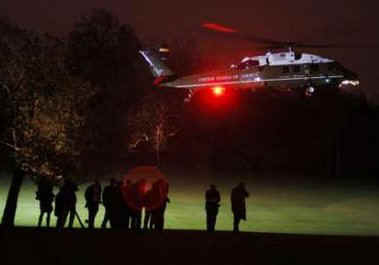 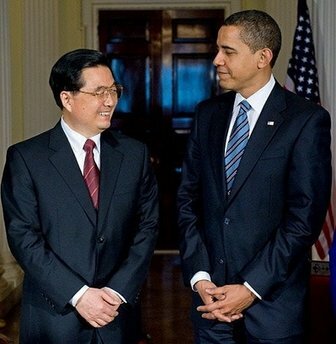 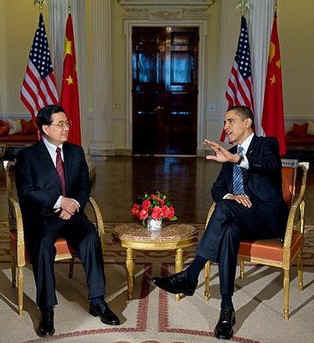 meet with China's President Hu Jintao and Chinese officials at Winfield House in London. 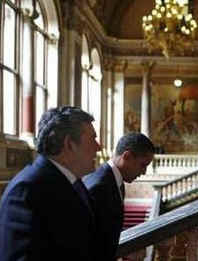 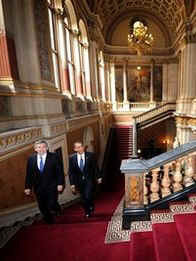 G20 leaders at Buckingham Palace. 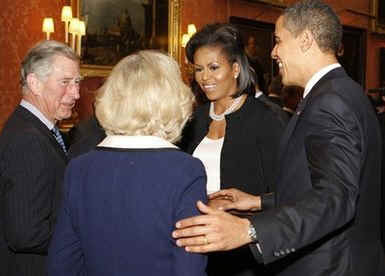 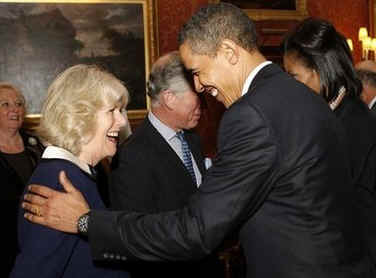 The President and First Lady met Prince Charles and his wife Camilla during the reception. 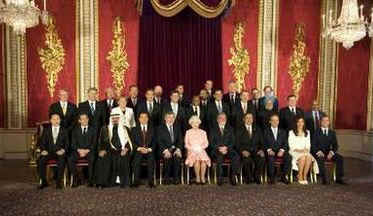 The G20 leaders had a group photo taken with Queen Elizabeth at Buckingham Palace. 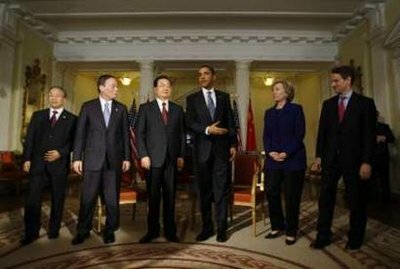 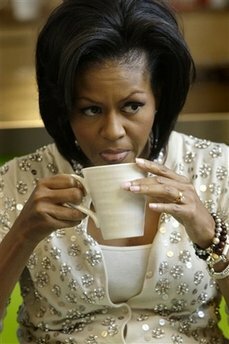 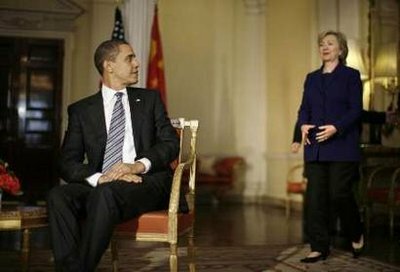 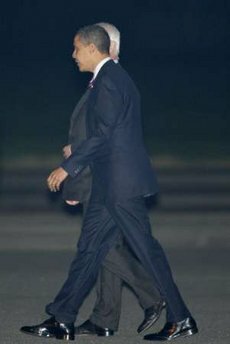 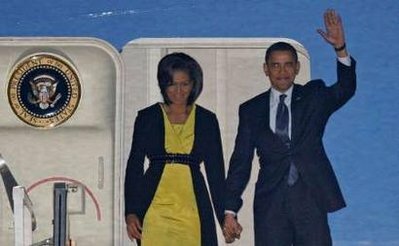 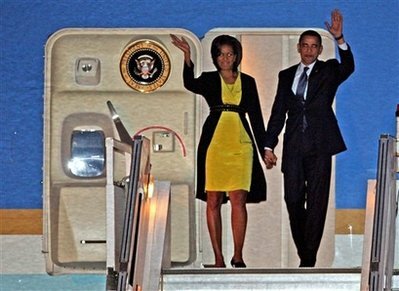 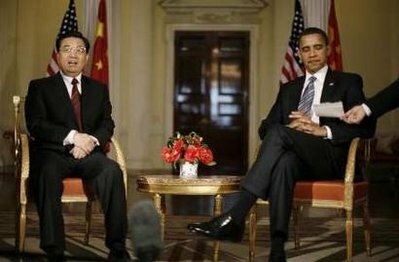 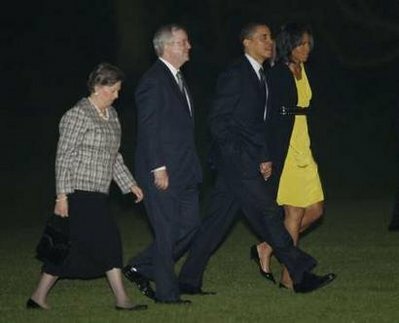 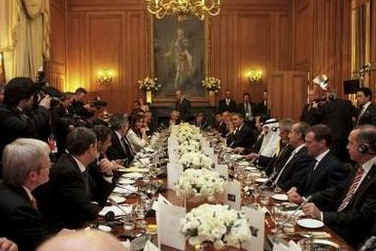 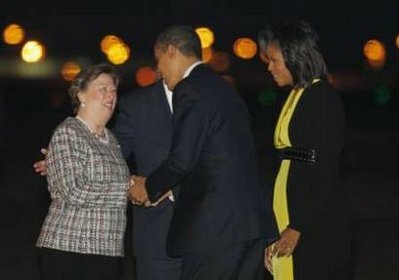 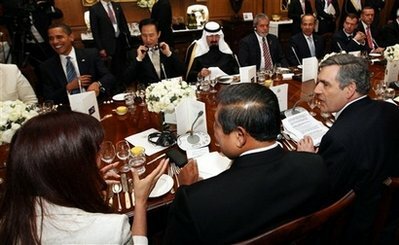 Obama attended a G20 leaders dinner while the wives of the leaders had dinner at a separate function within the residence. 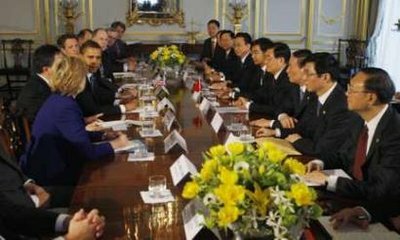 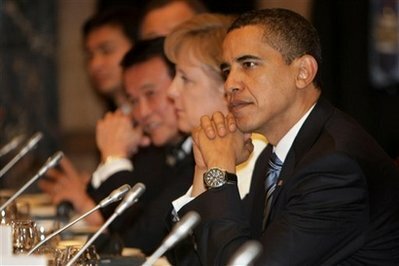 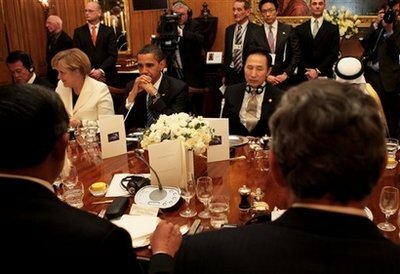 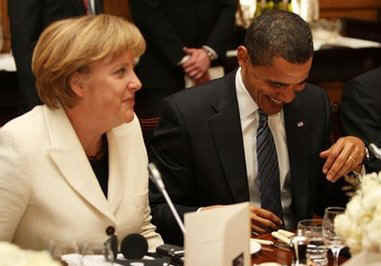 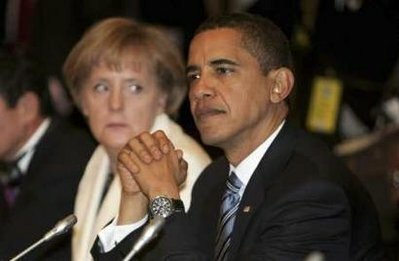 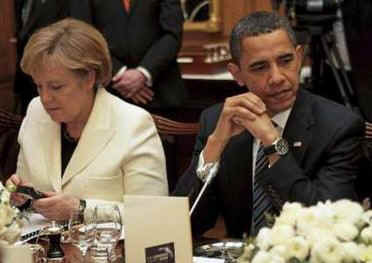 President Obama was seated for dinner next to German Chancellor Angela Merkel and South Korean President Lee Myung-bak. 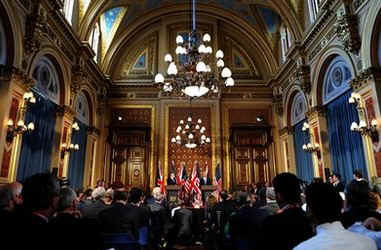 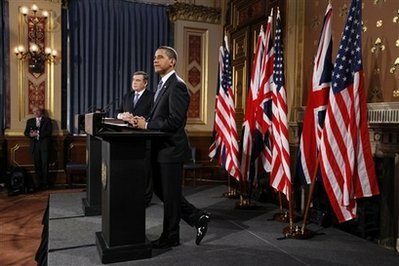 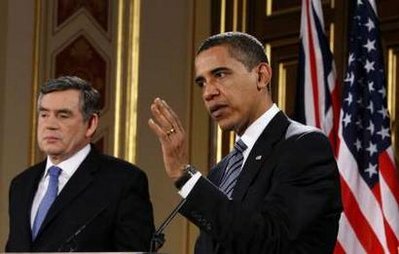 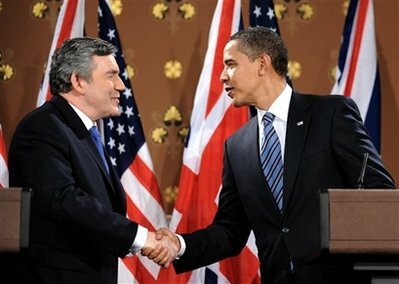 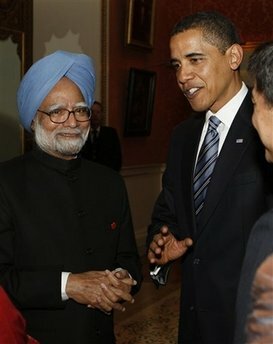 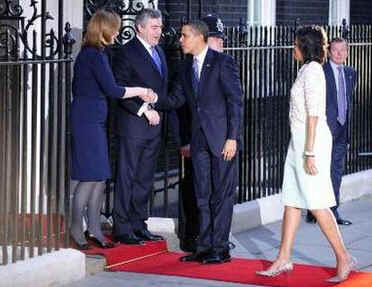 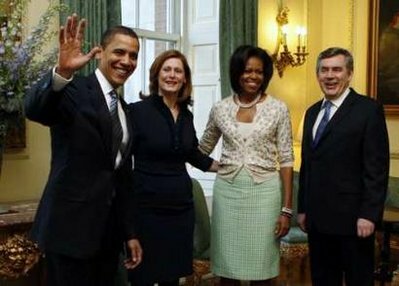 President Obama at the London G20 Summit and Conference at the Excel Centre in London, UK on April 2, 2009.